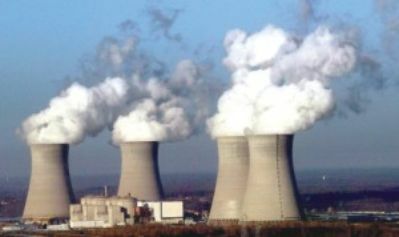 Bangladesh may soon be building a nuclear power plant (NPP) to meet its energy needs. This article gives an outline of how NPPs work and the dangers associated with them. Hydro, coal, gas and nuclear plants use different means of spinning large turbines that cause an electro-magnet inside coils of wire in a generator to spin, putting electrons in motion inside the wires and thereby creating electricity. Thermal plants use coal or gas for the heating process that spins the turbines while NPP uses uranium in a nuclear reactor. At a typical NPP, the nuclear reactor core -- rods of uranium arranged in bundles -- is immersed in a pressurised water tank called the vessel. As the nuclear reaction is spurred, neutrons strike and split the uranium atoms, which release energy and more neutrons that go on to split other uranium atoms. The energy in turn heats up the water that is channelled to a steam generator. To avoid overheating, the cooling process places control rods made of neutron absorbing material into the reactor. To prevent radiation, the vessel is encased in a thick concrete shield. Environmental impact: The most prominent advantage of NPP is that it avoids the environmentally adverse greenhouse gas emission (GHG) of coal or gas based thermal plants. This consideration has been a key factor in driving the growth of NPP in developed countries from the 1950s to the 1990s. Recent NPP trends: At least three parallel trends about NPP can be observed in the world. First, according to the IAEA 2012 Report, worldwide there is a clear downward trend in the number of construction starts since 1979 (highest: 42) and connections to the grid since 1986 (highest: 33). Second, recent rise in construction starts is in the high growth economies (China, Russia, India and South Korea). Third, despite greater efficiency and safety of NPP technology, most of the important and long-time users (like USA, Japan, UK, Germany, and Canada) seem to be phasing out their previously built NPP capacity. For example, out of the 435 reactors in operation worldwide in 2011, 104 were in the USA, but the country has only one plant under construction and has not commissioned any new NPP in the new millennium. Japan, UK, Germany and Canada have none under construction. In recent decades, the global momentum seems to have shifted to alternative technologies such as wind and solar along with clean coal (reduced emission). NPP risks: Spread/slippage of radioactivity from the vessel area of NPP and from the uranium fuel or the waste (from NPP production) into the open can cause severe health and environmental hazards. This may occur, for example, due to faults in the NPP design and construction, human errors in operating and servicing the NPP, natural forces/disasters damaging the NPP or the waste repositories, accidents during transportation of the fuel and the waste, and access to and malicious use by terrorists and other rogue users. According to The Guardian, there were 33 known accidents at NPPs worldwide between 1952 and 2011. The most damaging incident at the highest International Nuclear Event Scale (INES), (0 to 7, each increment is roughly ten times more severe) level of 7 took place in 1986 at the Chernobyl NPP in Ukraine (then part of USSR) when a reactor exploded, and according to the IAEA, released into the atmosphere 400 times the radioactive contamination of the Hiroshima bomb. While the long-term effects are still being studied, the immediate human fatalities were limited since only 116,000 people lived in the 30 kilometers radius around the Chernobyl plant, who were relocated after the accident. Radioactivity, however, is believed to have spread to a far greater area of 28,000 square kilometers with 830,000 residents. Since 2000, there were six incidents (INES rating between 2 to 5), with the latest incident (INES of 5) taking place at the Fukushima NPP in Japan in 2011 when the Sandai earthquake and tsunami led to failure of the emergency cooling system. Some important observations from the history of the NPP incidents are as follows. First, despite extensive control measures, hazardous incidents do happen. Second, even with experience and sophisticated technologies, the frequency of hazardous incidents did not decline much over time. Third, even the most experienced, technologically advanced and rich countries experience such events and have enormous difficulty in managing a higher INES scale event, most amply illustrated by the 2011 Fukushima experience. Fourth, the potential health and ecological hazard of any higher INES event is expected to be more devastating if the NPP site is located in a region of high population density and the surrounding ecological system features connected water bodies, plantation and cropping areas. Fifth, the disaster could spread further in the absence of a well-planned, resourced (human, financial and physical) and rehearsed system of event and disaster management in place. Economics of NPP: Generally speaking, the initial construction cost of a NPP is higher than that of coal, gas, wind or solar installation. NPP also involves significant costs for managing radioactive used fuel and waste and ultimate decommissioning (9% to 15% of capital cost). However, NPPs have long physical life and low fuel and operating costs. The main construction cost component is the overnight engineering, procurement and construction (EPC) cost of the power system, followed by owner's cost, roughly 20% of EPC cost representing ancillary facilities including land. The overnight EPC cost is principally affected by the sophistication of the technology, local proportion of construction, and the labour and materials cost levels. As such, the overnight construction cost can vary widely across the globe, generally in the range of $2 billion to $8 billion, for a 1,000 MW NPP. Even with high end estimate of the construction cost as in the USA, it seems that NPP can be cost competitive. In summary, NPP offers clean electricity at a relatively low fuel and operating cost. However, deadly NPP accidents do happen and can have severe health and ecological effects, especially in densely populated and agrarian countries. Many long-term NPP using countries are also shifting toward alternative clean technologies.